Module is designed to set related-to-option values for goods (eg. colour and size). Thus it gives a way to account goods on stock depending on option combinations. Option combinations also can have different prices. 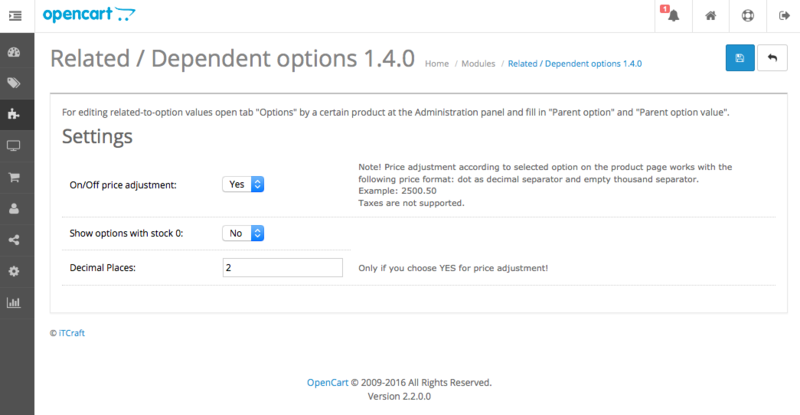 Fields “Parent option” and “Parent option value” by a certain product at the admin panel (tab “Options”) are used to create related options. By a store-front the related option is shown only after choosing some parent option value. After that related-to-option values are available according to a chosen parent option value. For example, related-to-colour size. You can turn on/off price adjustment. 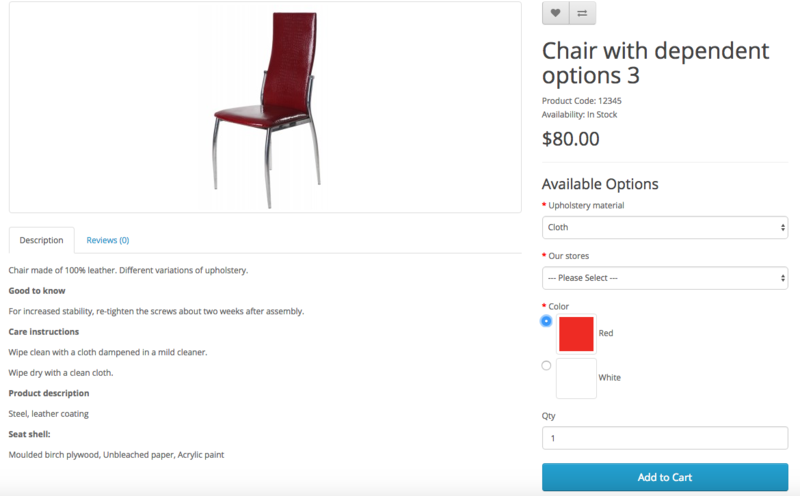 If you want to show combinations for products, which are not in stock – choose Yes. Decimal places – count of digits after decimal separator. Is this script not quite working as it should? Having trouble installing? Or need some custom modifications that aren’t already included? Or you want more features on next release? Feel free to get in touch about any of your queries via profile page Conceptlogic.